DASH provides opportunities for students to learn about various aspects of the entertainment industry while also learning how to become innovative thinkers and leaders. 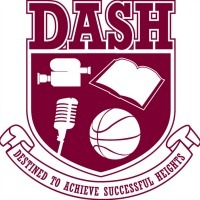 The DASH curriculum combines academics and real world experiences in three major areas of the entertainment industry: the business of music; the business of mass media; and the business of sports. Sessions includes academic learning, and applied learning through service learning projects in real entertainment industry settings. The business of music will provide a comprehensive look into the professions and opportunities both in front of and behind the scenes of the music industry: Management and legal, A & R (Artist & Repertoire), marketing, creative, sales, songwriting and composition, production, engineering, media training, show production, booking talent, distribution and retail. The Business of Sports is designed for future sports business leaders as well as those interested in the inner-workings of the sports industry. Students will learn about being sports agents, general managers, owners of teams, and countless other positions in the sports industry. This course covers the major professional sports, Olympics, and collegiate sports (NCAA), and highlights the key issues that impact each of these categories. Mass media refers to those organized means of dissemination of fact, opinion, entertainment, and other information, such as newspapers, magazines, radio, cinema films, Internet, billboards, books, CDs, DVDs, computer games and other forms of publishing. The Business of Mass Media will explore how students can use each of these organized forms of communication to affect our everyday lives.